PASSION FOR THE PROCESS. 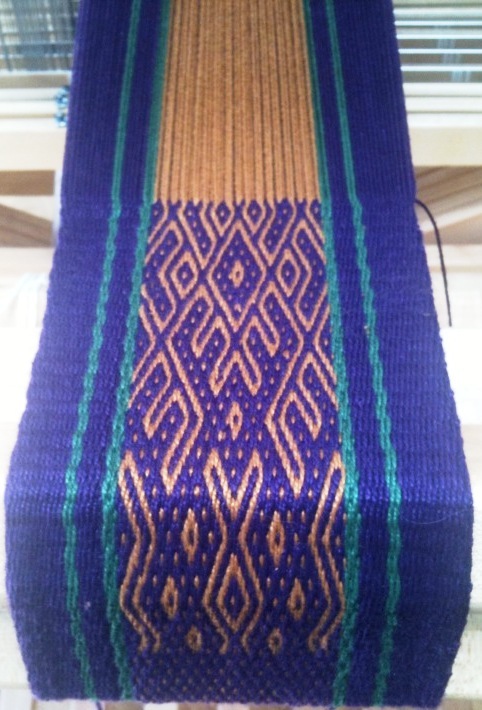 It’s no surprise that I have another piece on the loom in progress this week but I do have a product in mind for this. I have decided that I want to have a set of tool bags in deep rich colors and, as I was so pleased with the way my blue tool bags (at left) turned out a couple of weeks ago, I went with that same size and idea and just added different colors and a different motif. So the type of yarn and number of warps was already figured out. What I needed to do was choose a motif and a color combination – all part of this process that I so love. So I found a couple of motifs and charted them together, spent a very long time staring at my various yarn colors trying to visualize how they would look together and finally warped up for a sample of just the motif in Andean pebble weave. More agonising over color as something wasn’t quite right…and what color to do the plain area? Did it need more stripes to set off the motif? The motif was wider than that on the blue bag so I had to recalculate the number of warps for the solid color. My process involves, charting, measuring, selecting colors and finally getting to the warping board to sample. I wonder what kind of process the indigenous weavers here go through before they sit down to weave. 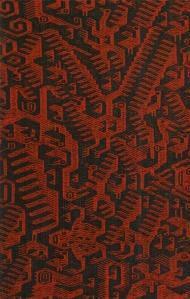 The Potolo weavers create large textiles in red and black. 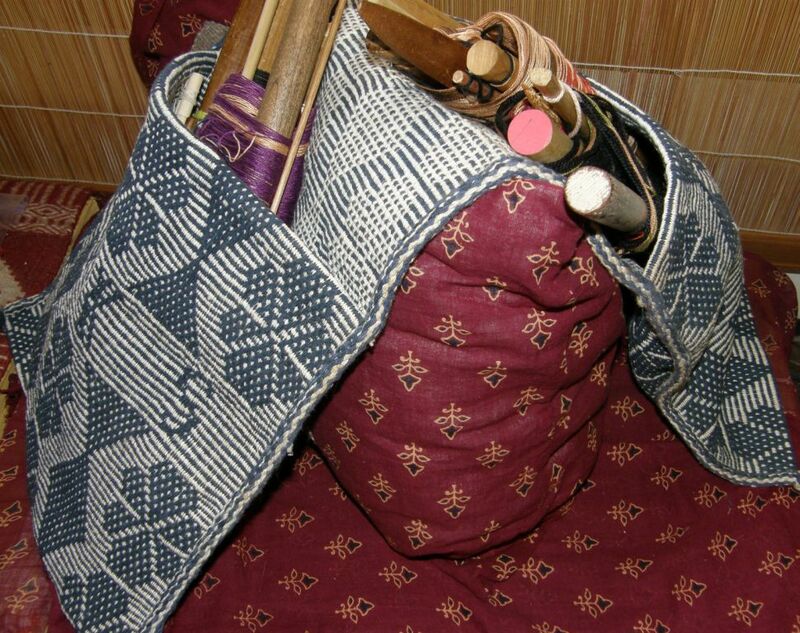 Their motifs, however, are incredibly varied and you will never find two textiles alike. They weave without reference to any other textile or sample and the motifs appear like magic until every possible space is filled. However, I have to wonder if they get tired of always using just those two colors. 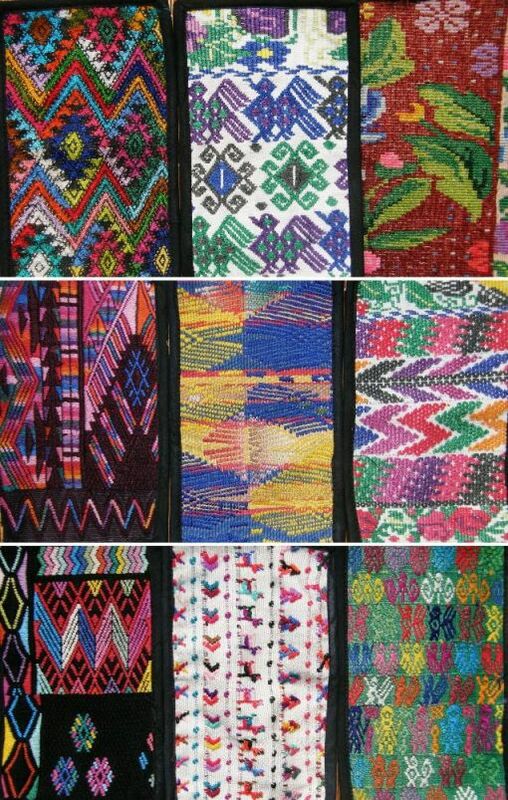 The Tarabuco weavers weave traditonal pieces in red, orange and yellow and others in dark blue, black and purple. I was told that the latter combination comprises their mourning colors and that the tourists prefer those. I wonder how they feel about weaving these somber mourning tones to suit the shoppers rather than their sunny reds and yellows. Lately I have noticed that they have begun to incorporate non traditional color schemes in their work to please tourists. I wonder if they enjoy choosing and weaving with these new colors and linger over the decision on how to combine them. The last time I visited the museum in Candelaria, a weaver took me through her weaving from top to bottom and described the story her motifs told. She had obviously put a lot of planning into the arrangement of the tiny figures on her cloth. 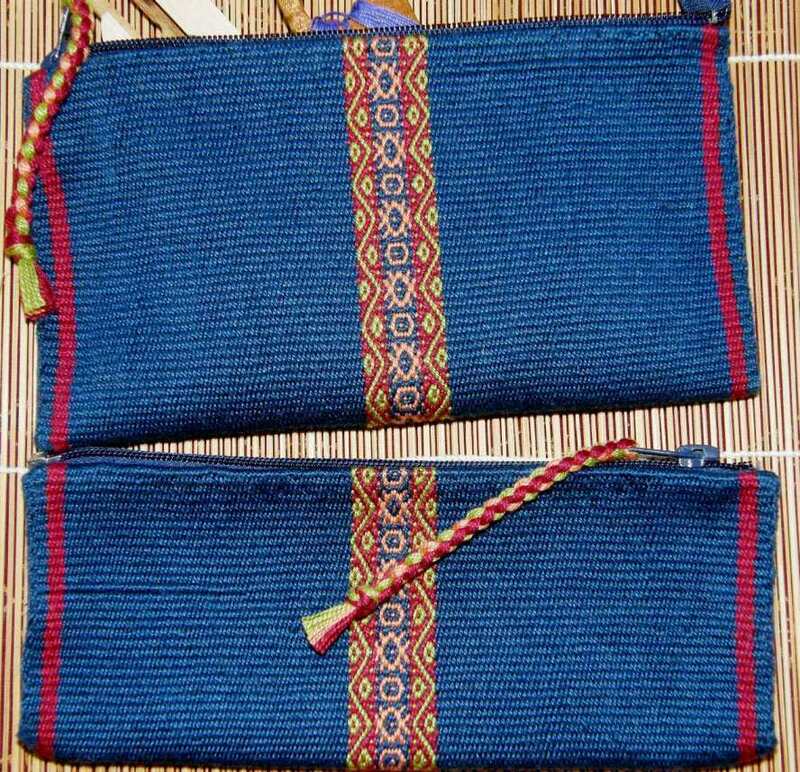 The cotton saddlebag weavers with whom I stayed in coastal Ecuador always weave their bags in blue and white and use only two or three combinations of motifs. The bag is always the same size and so no such decisions about motif, size and color keep them in the planning stage and away from the loom. However, I did notice how keen they were to include red, yellow and other bright colors when we asked them to weave a sample hammock and their obvious disappointment when we chose the natural white and brown cotton colors and the blue that they always use in the saddlebags. This cotton saddlebag was woven by my weaving teacher over 20 years ago. There has only been a slight change in one of the two motifs used on these bags since then. So, here I am, spoiled for choice…journals filled with designs that I have collected from journeys through many of the countries here in Latin America, beautiful yarns in a wide range of colors at my fingertips, color, design and inspiration all out there for me to see on the internet and the luxury of being able to weave purely for the simple joy of it! I wonder just how in love I would be with the process if it involved some of the steps that my indigenous teachers must take long before they get to the loom. The first step for some weavers is shopping for fleece at the market. On the left is the market at Betanzos near Potosi, Bolivia. On the right is Santa Rosa near Huancayo, Peru. For the weavers in coastal Ecuador, sometimes it means waiting for the right time of year to pick their cotton on the few wild plants left in the area or scour the market for increasingly scarce bags of this fiber. Kathleen Klumpp, the North American anthropologist whom I accompanied to this area is helping this weaver, Trini and her family, to keep the traditions alive by funding the planting and care of 150 cotton plants on their land. 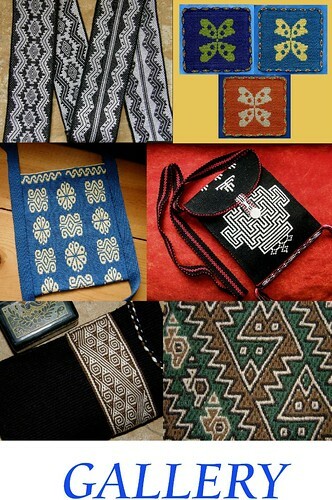 She also frequently commissions the making of saddle bags so that Trini has the chance to weave some of the lesser used motifs and, in doing so, ensure that the skills in producing these designs are not forgotten forever. On the north western slopes of the Andes in Ecuador, women weave and crochet cabuya fiber (agave). 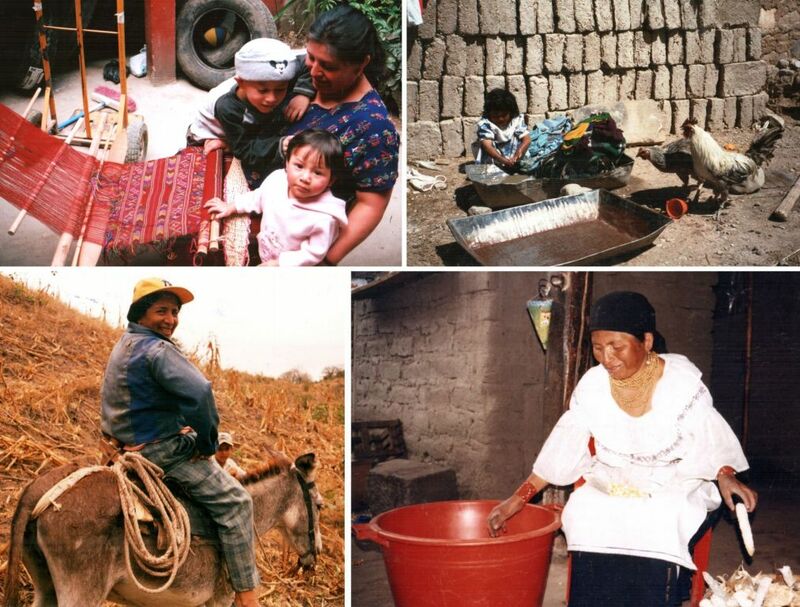 There is a long and tedious process involved with extracting the fibers from the cactus leaves. The fibers are then laid out to dry – also a long process in this humid cloud forest area. Fiber preparation: Trini de-seeds and teases the cotton fibers into sheets. Later they are beaten into larger more uniform sheets ready to be spun. The cabuya fiber is combed and then tied to a distaff before being spun and Anita in Salasaca cards her wool in preparation for spinning. Days, weeks and months are spent spinning. I met the woman who I was told was the only one hand spinning cabuya fiber. Eighty-six year old Luz still spins beautiful cotton thread in coastal Ecuador. In Calcha this group of young spinners is cutting the wool from fleeces. My teachers from Potosi, Julia and Hilda, show me how they spin. Even the bright acrylic yarns bought at the market need to be respun before they can go on the loom. The cotton weavers use their thread doubled and so wind singles off two spindles into a ball. Yarn bought in skeins needs to be wound into balls and often tripled or quadrupled in the case of the supplementary weft yarns used for patterning in Guatemala. All that beautifully prepared fiber now has to be dyed. At left in coastal Ecuador, Alejandro, one of Luz’s grandsons is cutting a limb from the “morral” tree. We had to ride into the hills up behind the house on donkeys to find this one tree in a gulley. The dried heartwood produces a strong yellow. At right, my teacher Julia is preparing plant material for a day of dyeing. 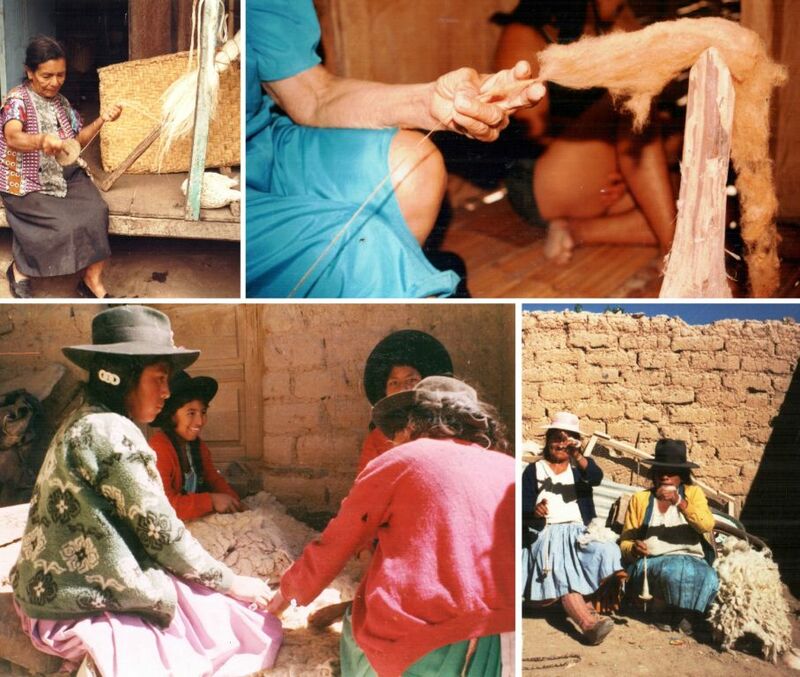 These young ladies in Calcha, Bolivia are pre soaking the wool and preparing a dyepot of eucalyptus leaves. Red and blue. At left, cochineal is prepared for the pot and at right Leonardo lifts the synthetically dyed blue cotton from the stove. His mother Luz remembers the time in her youth when natural indigo was used. All the wild indigo plants have now been eradicated from the area and it seems that no one remembers clearly and completely the old process for dyeing with the natural indigo. Cabuya fiber is being soaked in a pot of “matachi” bark. My teacher Maria discovered that this bark, which is used to stain leather, works well also on cabuya fiber and produces a deep red. When I was staying in this area, the community had just received an order for 500 bags of organic coffee and the women in the fiber cooperative were commissioned to make 500 crocheted cabuya fiber baskets in which to put the coffee bags. The presentation was really lovely. Maria wanted to use her matachi dyed fiber but was urged not to by the American project supervisor as she thought that the French customers woud not believe that such a rich color had come from a natural source in that area! 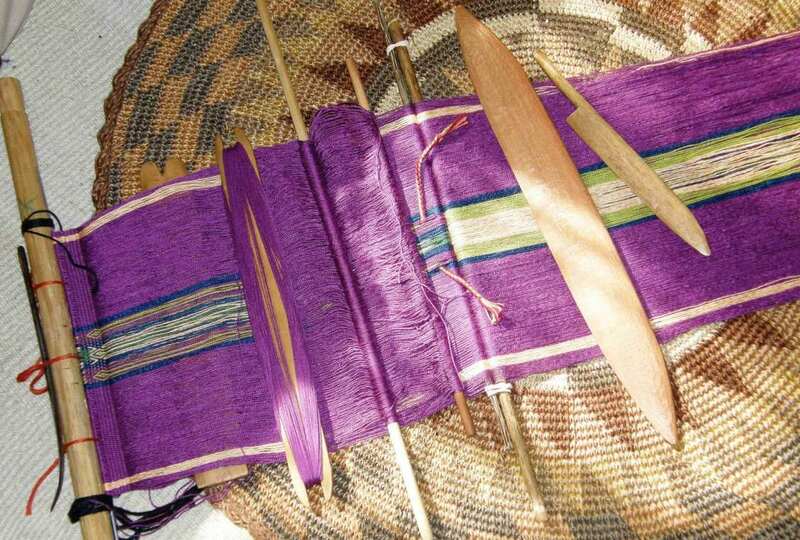 On the right is cabuya fiber which was dyed before being spun with other plant material. Now we can get to the loom! Of course there are the looms and the warping processes in their many shapes and forms. 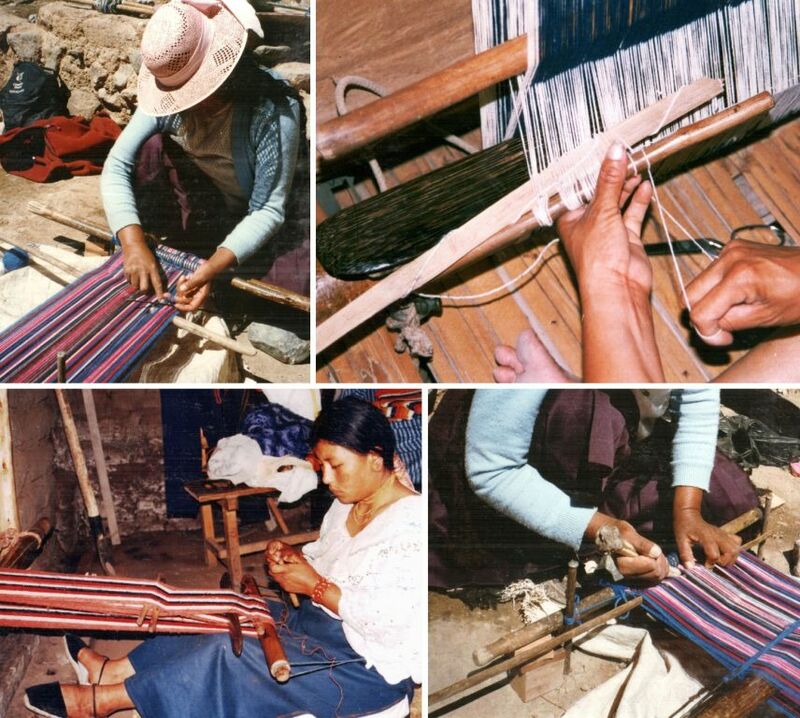 At left, warping directly onto the staked-out ground loom in Potosi is a two-person process. At right, the very simple loom used by the cabuya fiber weavers in the Intag Valley in Ecuador. With the variety of looms there is also a variety of heddle-making and warp preparation processes. At bottom right, Hilda is preparing the warp to be woven as a four-selvedge piece. 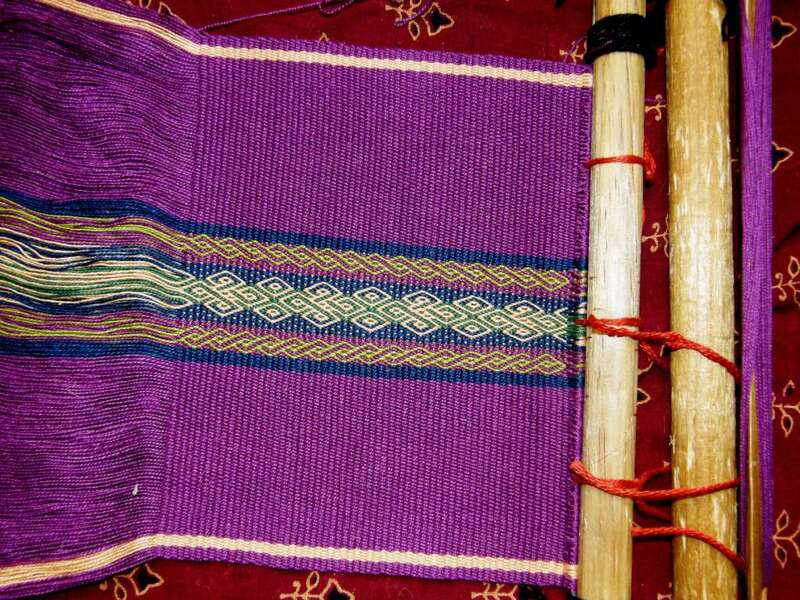 Some weaving techniques, particularly those used in Guatemala require the insertion of extra sticks before weaving can begin. Carmen, on the right, at 17 years of age is a proficient weaver, yet her mother does all the warping, heddle making and other tasks involved in setting up the loom as this is the part of the process that they consider most crucial. We are almost ready to pass that first weft. Here is my latest project fresh off the warping board on the left and with heddles installed for Andean pebble weave on the right. I usually make my heddles in another color for no other reason than “it looks pretty” but, after spending a lot of time picking all the orange fluff out of the blue tool bags I made a couple of weeks ago, I decided not to complicate things and just make the heddles this time in the same color as the body of the bag. Now this is where I start dithering! It is so hard for me to pass that first weft! I measure and move warps around and measure again, untie the edge warps and re tension them, measure again…I set up for a three selvedge piece – one less edge to hem when I sew the bags. Time to consider…did I make the right color choices? It’s not too late to unwind and replace some of those colors. Dither, dither, sigh, deep breath, pass the first wefts. Okay, I think I like it. At left, one of the cotton saddlebags. These very practical items were for local use only and never intended for the tourist market. 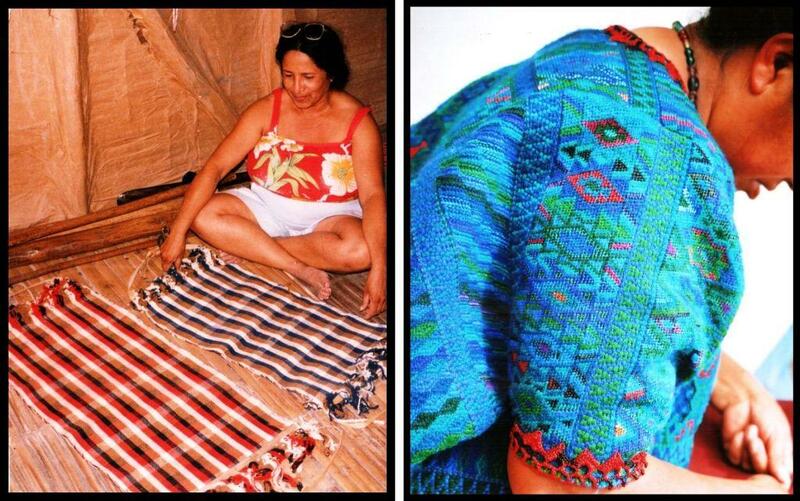 At right, the cooperative in the Intag Valley markets its woven and crocheted cabuya fiber products throughout Ecuador and internationally via the internet. At right is a cosmetics bag that I wove on the simple wooden frame loom with my teacher and, at left, is a long bag I made with this very sticky fiber in pebble weave on my backstrap loom. In Guatemala sometimes the product goes to the weaver or her family like this double faced supplementary weft patterned hat or is made specifically for tourists like the wall hanging at right. 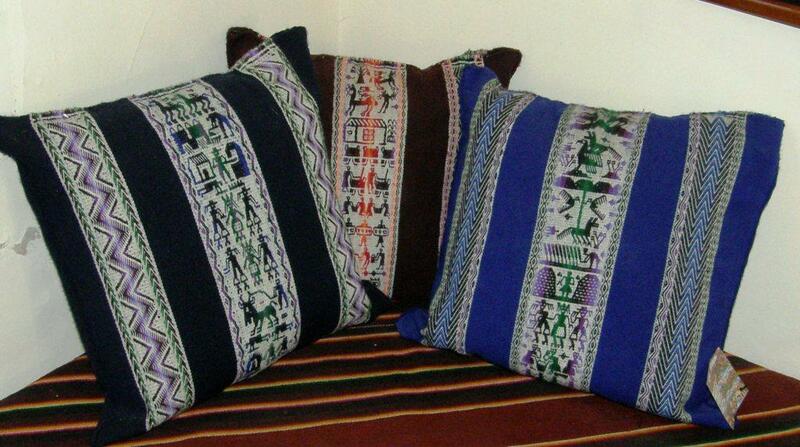 Huipil designs from various regions of Guatemala. Often a product originally intended for use by the weaver herself ends up as an item for tourists. These pieces of huipiles have been sewn to make wallets. Trini, at left, wove two mini hammocks to show Kathleen and me the process. First she wove the blue, white and brown one for Kathie and then insisted on making one for me too with one of her bright colors. Martine at right wove all the huipiles for herself and family members. Huipiles in this town were originally burgundy but the story goes that an American commissioned a huipil from a local weaver in turquoise and greens, that the weavers fell in love with these colors and then decided to change their traditional colors to these. And then there are the inevitable interruptions to the process…. I imagine it is not ideal being strapped into a loom when the kids want attention. Five-year old Wendy plays at washing next to a pile of laundry that is bigger than herself. Her mother, my teacher Julia, worked washing clothes for families in the neighborhood which left her little time for weaving. Trini would weave a bit in the early morning before mounting her burro and heading off to the fields to harvest. Weaving that four fingers width in a day sometimes just doesn’t happen. None of the aforementioned interruptions apply to me so I generally manage to put in those four fingers worth of weft or even more in a day if my cat lets me. Finally, my appendix to Andean Pebble Weave with the four-shaft loom instructions is oh oh so close to being finished now. One of my generous testers, Jennifer, has been weaving one of the designs from one of the Russian Old Believer belts on her four-shaft floor loom. Gorgeous colors! I love reading your posts about your weavings and adventures! 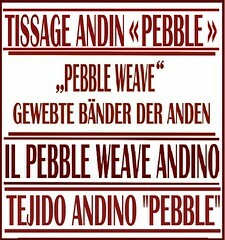 Thanks for helping to educate me and others about weaving!! Hi Vicky, thanks for visiting and for your comments! Hi there! my name is Marsha and I found you through Weavolution and Weavezine while trying to gather information on backstrap weaving. I am a Frame loom tapestry weaver and wanted something more portable. It took me forever just to get the thing warped and do a simple white strap…then I discovered I prefer the freedom of design choices on my tapestry loom. I do wish I had the patients for the back strap though as I love those designs. I really look forward to your postings. 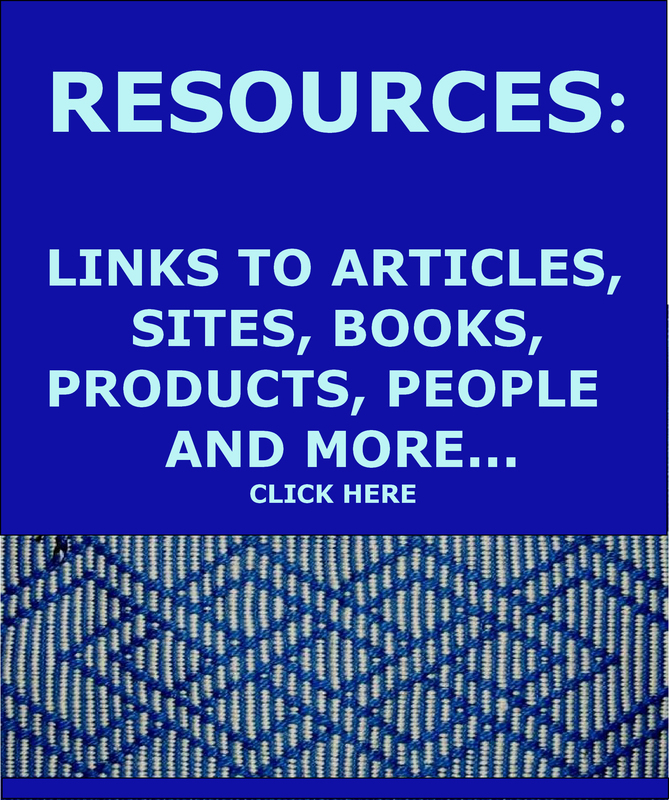 I find them very informative and interesting and read every word. I love that you post plenty of pictures. Keep up the good work and Thank you so very much. Thank you so much for your comments. Try again with the backstrap some time. It’s like anything new, a little awkward and uncomfortable at first. 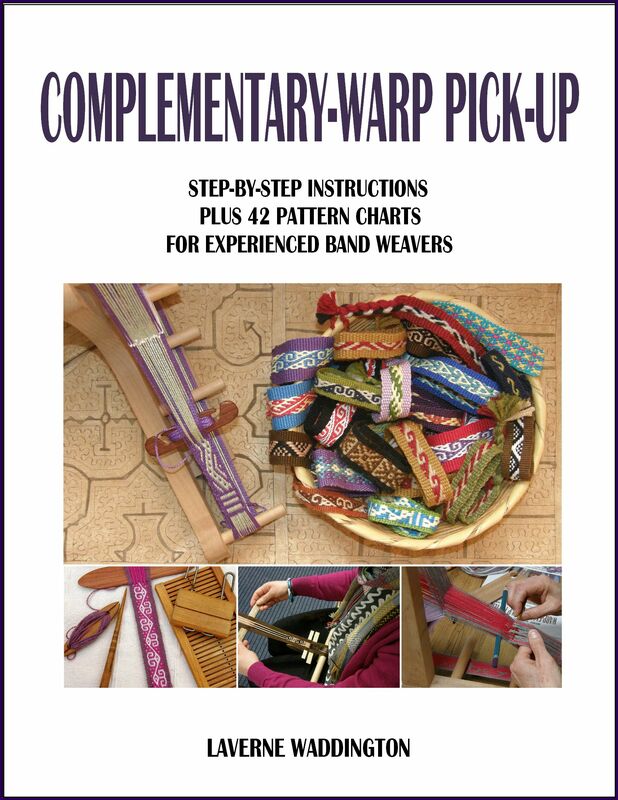 On the other hand, you can do a lot of the pick up techniques that I do on my bacstrap loom on a frame like your tapestry loom. When I first started learning South American weaving I used to do all my wider pieces on my Navajo loom and narrow bands on the backstrap loom until I git used to it. One of the Franquemonts wrote an article showing that in contemporary Andean weaving 80-90% of time and effort is spent before weaving, that is in preparing and spinning the fiber. So part of what allows us to indulge in our passion for weaving is the ready availability of commercially spun yarns. Oh, the ironies of handweaving. Creativity is often stimulated by limitations. So using a rescricted color palette and a backstrap loom may lead to more innovation. Given many choices we dither, back us into a corner and we’ll figure a way out, even if it is a la McGiver. The effect of tourism is everywhere. I would grieve the loss of the joyous colors of Latin America for the restricted mouring colors that the tourist buy. great post! very nice to see all the different styles of weaving and the processes involved with making yarn and colouring etc. We were cycling the south central peruvian highlands this week and met a few quechua men and women weaving in their backyard. They seem to like quite rough sheep wool here, and they love pink and bright green. Funny the different colour ‘tastes’ and variations. Lucky you! Were they ground looms or backstrap? What kinds of things were they making? Thank you so much for your very detailed and photo-rich posts. Every time I make time to read your blog I am immediately transported from here to there! It’s been a life long dream to visit some of the places you write about so I guess I can claim I’m half-way there! 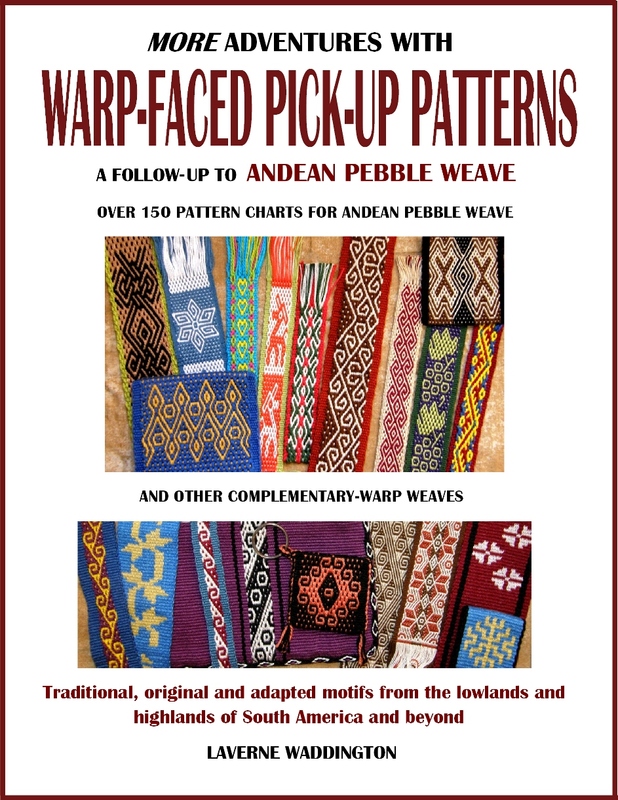 Do you know of any place online that we can purchase some of these wonderful weavings for ourselves? Not offhand but that is certainly something worth investigating. 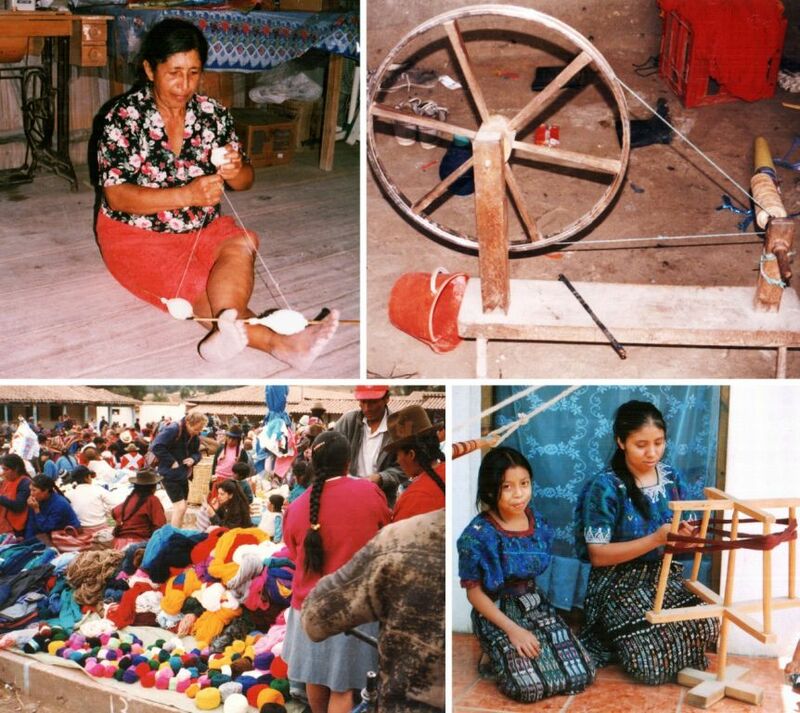 There is the Centro de Textiles Tradicionales in Cuzco with an on-line presence, http://www.textilescusco.org/eng/index.html that sells beautiful contemporary textiles. Nilda, who founded the Center also wrote the book WEAVING IN THE PERUVIAN HIGHLANDS: dreaming patterns, weaving memories. She and the Center have done amazing work to restore the quality of weaving and the life of the weavers. When buying old textiles from Peru one must be careful not to fund grave robbers and other such destructive activities. That is you must buy from a reputatble dealer and have a paper trail to know that they were taken legally out of Peru. Doulas Dawson Gallery gave a presentation on on Ancient Andean textiles at a recent Surface Design Conference and can be seen here, http://www.douglasdawson.com/americas/textiles.html.